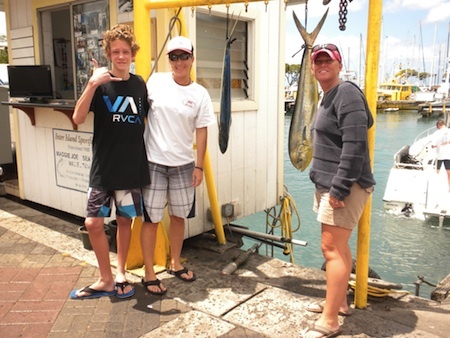 Mahalo to Theresa, Heather and Kai for choosing Maggie Joe Sport Fishing! The group joined us aboard the Sea Hawk on sport fishing charter. 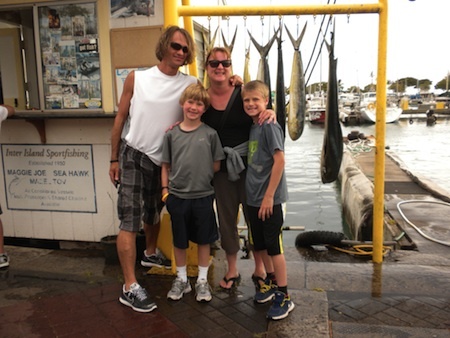 While deep sea fishing outside of Honolulu, Oahu they hauled in two tasty Mahi Mahi! Aloha! Jim, Chris, Tom, Kevin and Justin with 5 Mahi Mahi! 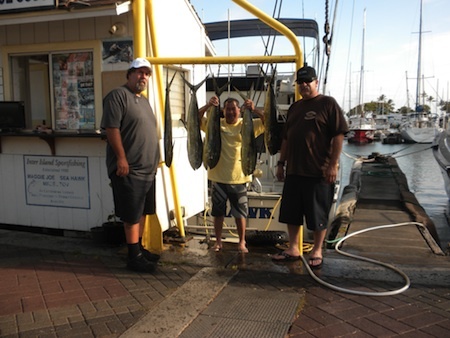 Mahalo to Jim, Chris, Tom, Kevin and Justin for choosing Maggie Joe Sport Fishing! The guys joined us aboard the Ruckus on a private full day sport fishing charter. They hauled in 5 Mahi Mahi while deep sea fishing outside of Honolulu, Oahu. Congratulations! 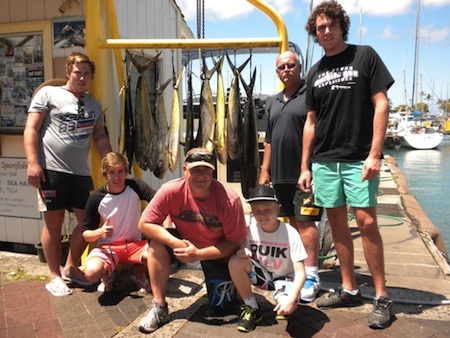 Steve, Jadon, Josh, Mark, Kallum and Kane with 10 Mahi Mahi! 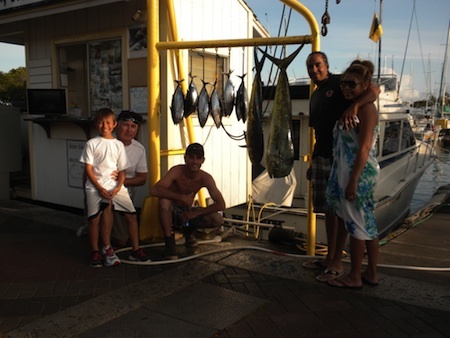 Mahalo to Steve, Jadon, Josh, Mark, Kallum and Kane for choosing Maggie Joe Sport Fishing! 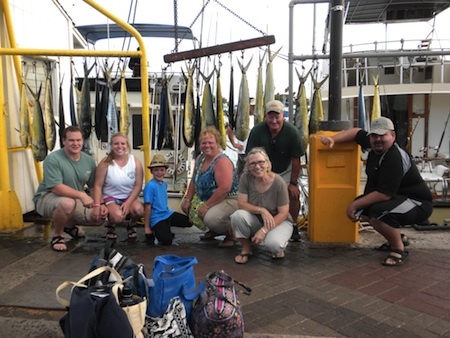 The group joined us aboard the Ruckus on a full day sport fishing charter. 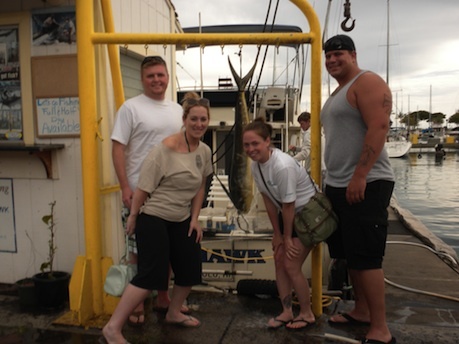 While deep sea fishing outside of Honolulu, Oahu they hauled in 10 tasty Mahi Mahi! Aloha and Hana Hou! 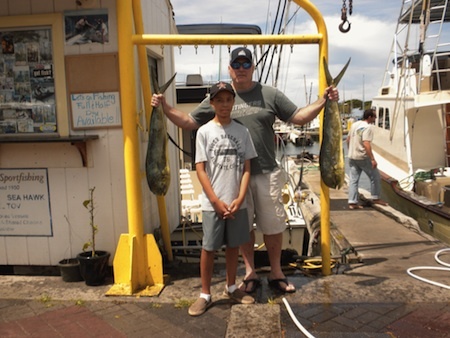 Nathaniel and Scott with 2 Mahi Mahi! 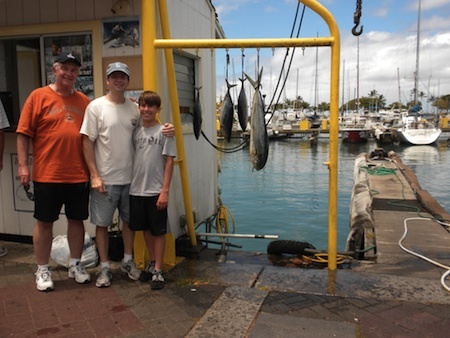 Mahalo to Nathaniel and Scott for choosing Maggie Joe Sport Fishing! They joined us on a half day sport fishing charter. 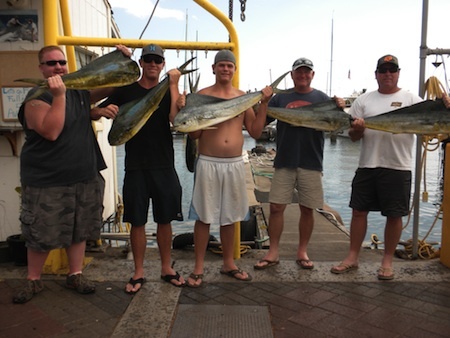 The guys hauled in two Mahi Mahi while deep sea fishing outside of Honolulu, Oahu! Aloha!